An alien on the run from his own people makes friends with a girl. He tries to help her on her quest, but can be an interference. Pixar Continues To Tug at Heartstrings. Don't Get the Bad Reviews AT ALL. I'm in my twenties and to be honest, I still enjoy watching Pixar films with my family. There's just something so genuine and beautiful about their movies, not to mention the endless amount of lessons one can learn. When I initially read the reviews about "The Good Dinosaur", they were all so bad. It didn't stop me from watching though and I do not regret that decision. This has got to be one of the most heartwarming Pixar films I've ever seen and it tugged at my heartstrings. I was crying throughout the movie especially towards the end. The thing about being an adult, we tend to overthink something so simple. The plot isn't something grand. It's not funny. It's cute. If you're looking for a film like the classic Pixar favorite "Toy Story", forget about watching this. It's a really simple storyline that focuses mainly on teaching the importance of family, dealing with fears and overcoming them as well as finding oneself or making your mark in this world. 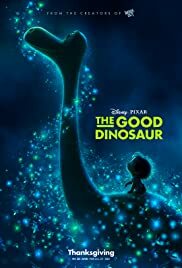 View "The Good Dinosaur" with an open mind and just be ready to enjoy the movie without reading too much between the lines. The good thing about Pixar films is that they remind you how wonderful it is to still be a kid at heart. This movie is no exception. In fact, I think this joins the ranks of "Finding Nemo","UP", and "Inside Out". Everyone has a right to their own opinion, but I can't help but wonder why majority just plain dislike this movie. If you're on the fence after reading one too many 1-star reviews, I say go ahead and still watch it. Judge for yourself. Be pure hearted like a kid and try to embrace the beautiful lessons of the film. Allow it to engulf you and touch you. If you have a kid/kids, this would be one of those perfect films to have a hearty conversation with afterwards. It's very inspiring, really. 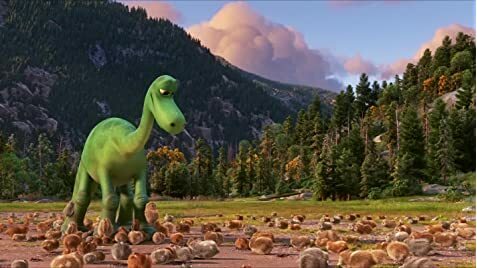 Give "The Good Dinosaur" a try. Oh and one more thing, don't be afraid to cry while watching this. I've seen this twice and still end up a mess every time. 69 of 86 people found this review helpful. Was this review helpful to you?